Susan’s healing practice is dedicated in loving memory to Cognac. 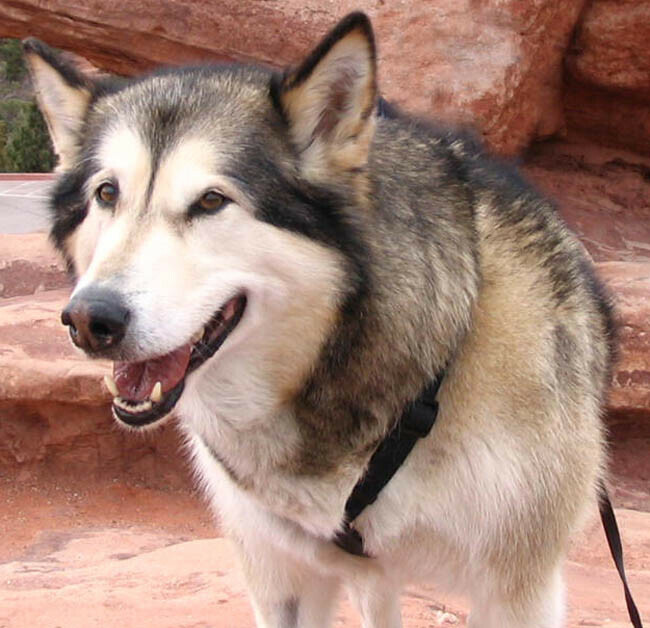 Cognac, Susan’s beloved female Alaskan Malamute canine companion of over 13 years is Susan’s greatest spiritual teacher in this life’s journey. This special creature continues to guide and inspire Susan to follow her heart and soul’s calling to support animals and their people along their path to healing and wholeness. Cognac inspired Two Bear Healing Arts.